This topic contains 280 replies, has 81 voices, and was last updated by Mike 7 hours, 33 minutes ago. Lovely images, thanks for posting Howard and William. 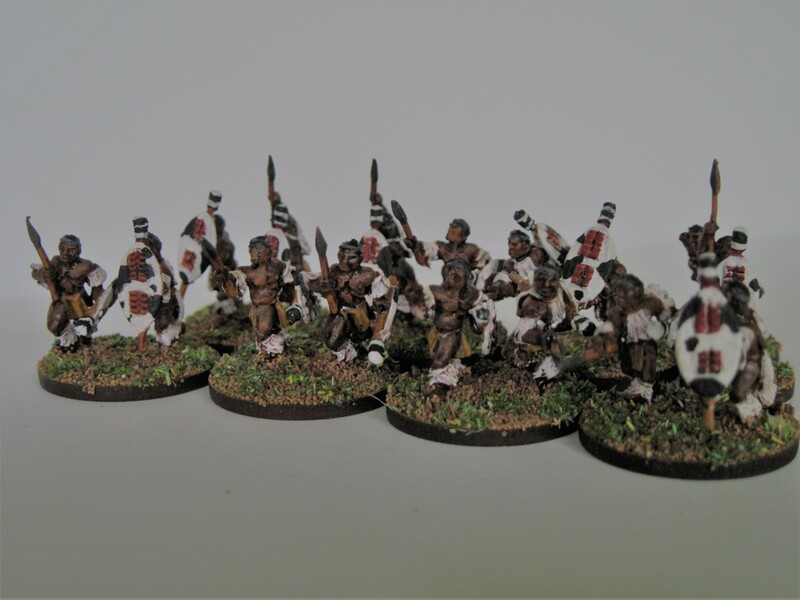 Zulus for me, as my Men Who Would Be Kings phase continues to develop. This reply was modified 1 year, 9 months ago by OB. 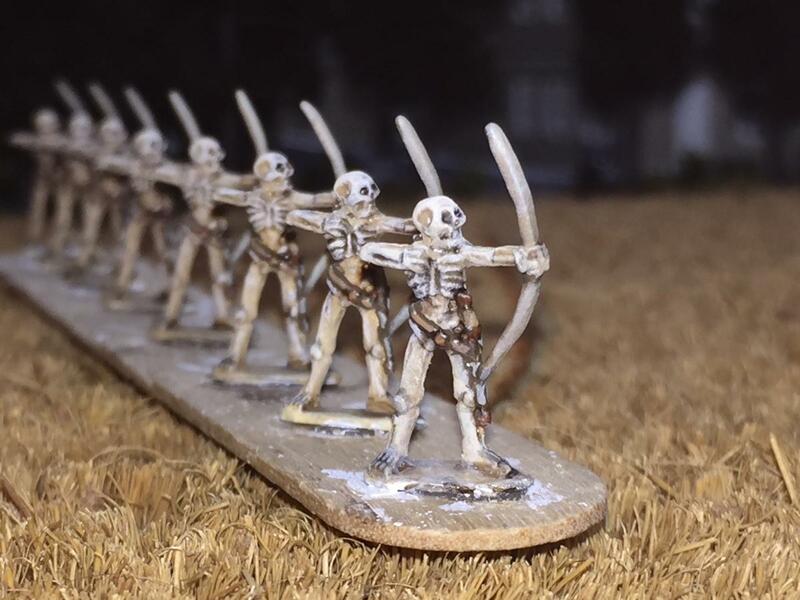 Finished up some test 15mm skeletons. I’m sort of “meh” on them. I don’t think its worth putting anymore effort into them, I have a few hundred to do. There are another 24 archers to make 32 total on 8 bases of 4 each. A similar number of swordsman, similar number of pointy stick type guys, some cavalry, a pair of pachyderms, then one of each sculpt individually mounted for skirmish/rpg. The fun thing about miniatures and being an adult is you get to have the things in life that we couldn’t have as kids. I always wanted my very own “Army of Darkness”. I always wanted my very own “Army of Darkness”. 1/72 Assyrians and 28mm Tyranids. An unholy and confusing combination of 28mm Pathan cavalry, 28mm fantasy and 40mm colonials, plus some animals. 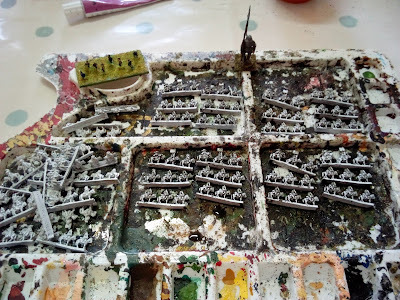 Romans for Roman Lion Rampant at the moment. Lots of very old figures getting used which is great. 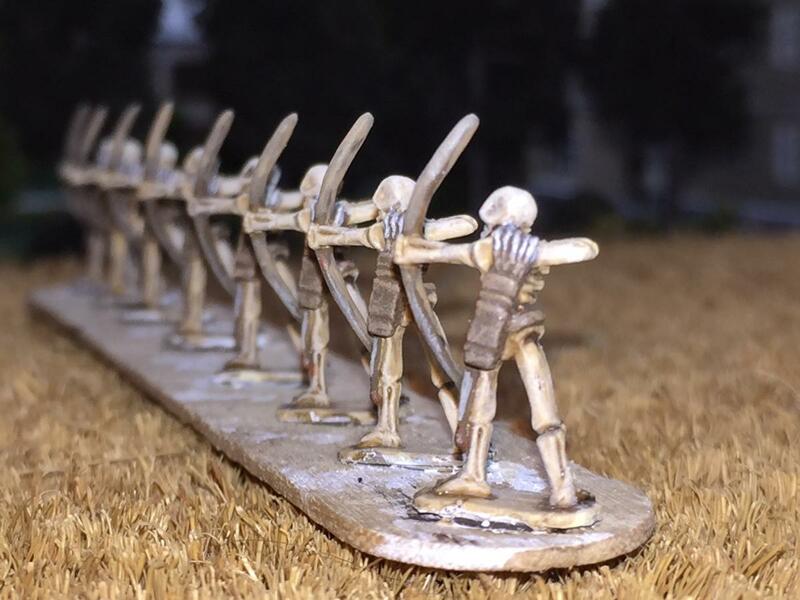 I’m painting 1/72 plastic Zulu War stuff (currently 3 units of Zulus and 1 of Frontier Light Horse) for The Men Who Would be Kings, some 20mm Japanese for a commission, and I’m about to get an order from Ion Age/Alternative Armies cleaned up and based. As a fully certified wargamer, I’ll say that – although I have yet to finish anything I was painting last week – I have primed a batch of 40mm Arabs and Foreign Legion. Because that’s how we do things, right? This reply was modified 1 year, 7 months ago by Howard Whitehouse. That didn’t seem to work Howard. Indeed, I was trying to post a photo, and failed badly, so I just put some text in instead. I have three 15mm technicals from Evil Bear, and 15mm modern (well, 1990s modern) Brits, along with Taliban and CIA operatives from CP Models. And just ordered more Taliban along with contractors from CP today. So I’ve recently become a sponsoring member and thought I would contribute to this excellent thread as I am pleased with my progress over the last month. I’m not a brilliant painter but I’ve learnt it’s much more important to do your best but get your figures painted and based and actually play games with them. So here are my World War 2 Soviets, painted and in prigress. There are many shades/colours that I have seen in various sources and I wanted to represent this. Ill just post a link to the album. Conversion mania here. Milliput and Green Stuff everywhere. Three figures completed so far so this is going to be the slowest project ever. I’m enjoying it though. I would very much like to see those sheep being part Welsh! And of course the conversion mania! Here is a conversion mania work in progress Rhys, before and after. He needs highlighting and a banner. 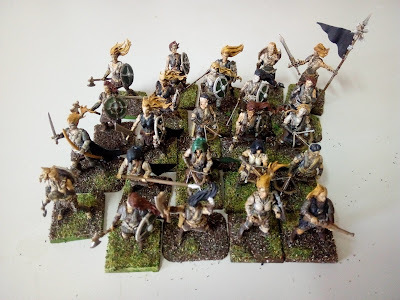 OB – superb work on the conversions and painting – I’ve never really done any conversion work – just filling with green stuff but might give it a go now – I think it’s about time! Having unique miniatures on the tabletop must be quite a satisfying thing. Mike – your work is outstanding. I love the detail you painting especially those rugs. The attention to detail and care taken is inspiring. But of course the sheep are the stars! I have come to think that an oft neglected part of wargaming is creating depth of realism with supporting characters/civilians and realistic portrayals of buildings/settlements and their everyday look and everyday inhabitants who struggle on as best they can. It creates deep period flavour and a real sense of atmosphere. I’ve been working on a Delaque gang for necromunda – GW metals that I have had kicking around for years. With the necromunda relaunch it is time for them to see some action. Other than that, some more GW stuff (including the goofy old tyranid warriors from the 90’s that I had to do extensive repair work on), assorted manufacturers zombies, and waiting for another two boxes of Perry Ansar to arrive. Of course, I have been a good boy this year and so expect some miniatures from Santa, so will have an even bigger lead/plastic pile by the end of the year. Thanks Rhys. Mike told me to get some Green Stuff so I did. I have now used some and in many ways its so much easier than Milliput. I also found it much faster to apply. I think you should give it a go and good luck with it. I’ll be doing a few blogs that might be of interest on all this as I go so I’ll post them on TWW under Blogs. 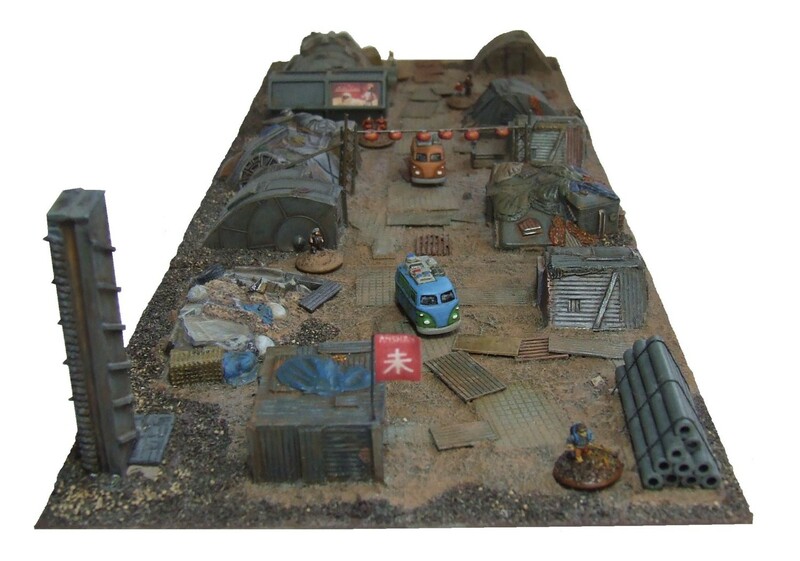 Mike – your 6mm sci-fi town is amazing. I really enjoyed reading your progress on building it and how you made it and using the steel squares as a modular expansion for each part of the town – brilliant. I am much in awe of your model making and painting skills. 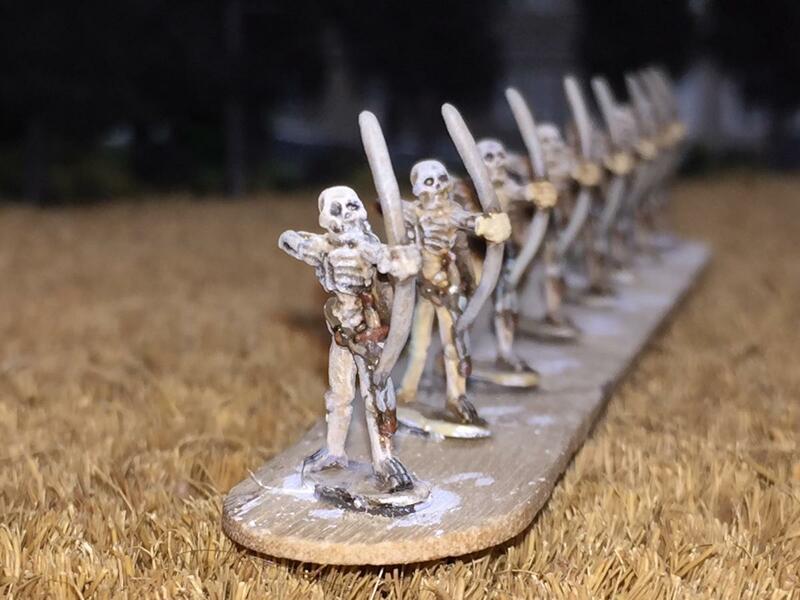 Paul – i would love to see your original Necromunda figures – got any pics you can share? Rhys I am away from home for work but will post pics when back at home. Ive only completed 4 for now. Rhys I am away from home for work but will post pics when back at home. Ive only completed 4 so far, another 2 to go plus a ratskin scout. Broken dreams and unfulfilled promises mostly. 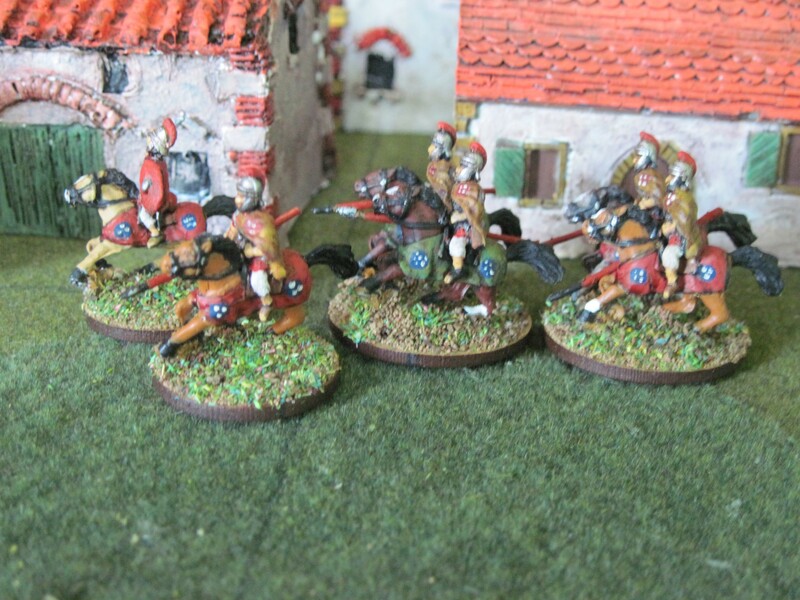 Right now some 28mm late Roman cavalry for a friend that I’ve been ignoring while painting tiny spacemen for me. Then it’s back to tiny spacemen. James Manto – Ha ha I am desperately trying to make sure that doesn’t happen with my WW2 28mm Soviets. Just 12 more infantry to finish and I have a completely full strength Soviet platoon with most support options as well. Then it’s basing and sealing time. Then onto the vehicles. Im also now contemplating scratchbuilding some terrain and doing some green stuff conversion work! 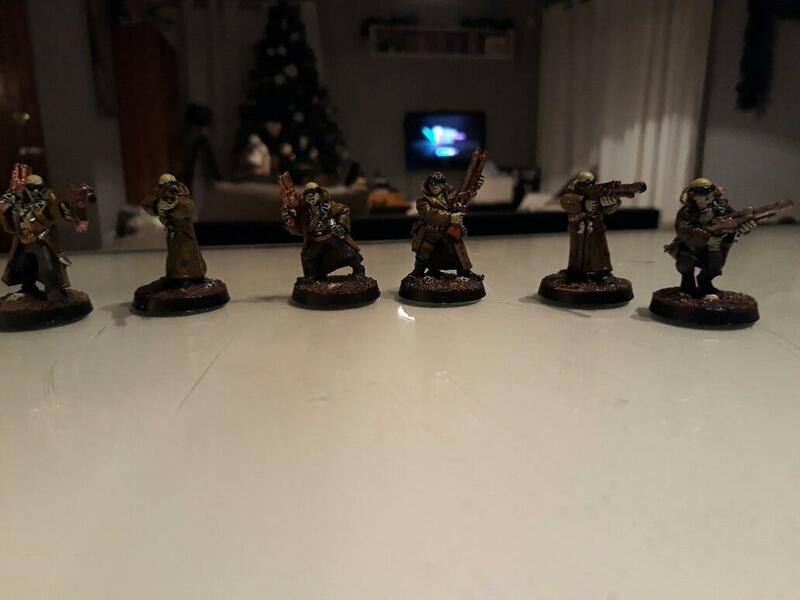 My old-school Delaque gang for the new Necromunda. Thanks for sharing Paul – I was keeping an eye out. They are cool miniatures with a cool paint job! Painting up a Critical Mass Civilian Transport Pod care of Ral Partha Europe. The canopy is my first attempt at a technique poached from Spaceman Spiff. 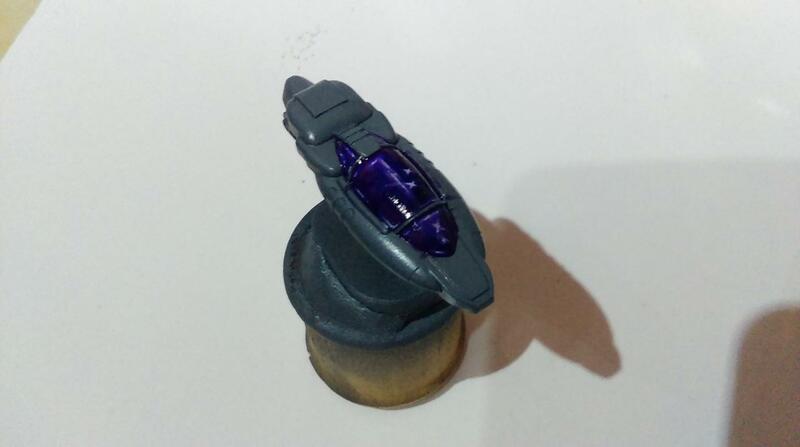 Next I’ll be attempting another technique new to me for the bodywork, nmm chrome anyone? I love the canopy on that – superb work! That is definitely the way to do it! This reply was modified 1 year, 4 months ago by Matthew Hipkin. You’ve done a cracking job on that. It looks like it flying through the heart of a mega-city!